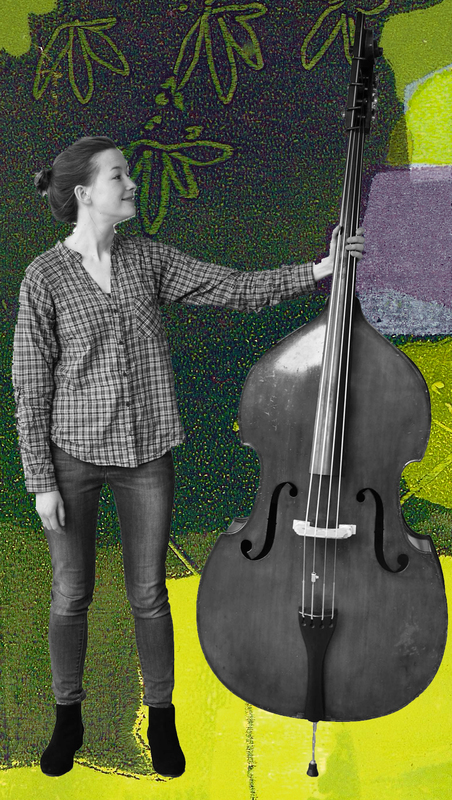 Born in London, Marianne took up the bass at the age of 15 and has not looked back! Having studied at the Royal Academy of Music and the University of Cambridge, where the Coach House Company was formed, she has a strong background in classical music, and currently works as a freelance double bass player with a number of professional ensembles in London. She is also a founder member of the improvising contemporary quartet The Hermes Experiment, along with Héloïse. Through her arrangements for The Coach House Company, including Blackbird and Barbara Allen, and through her playing, Marianne aims to combine what she has learnt through her classical training with the spirit of the British folk tradition. Favourite things about the Coach House Company include, but are not limited to: tea breaks, not using sheet music, each member’s distinctive laugh, reharmonising things, performing in amazing locations, and of course the freedom to be creative!